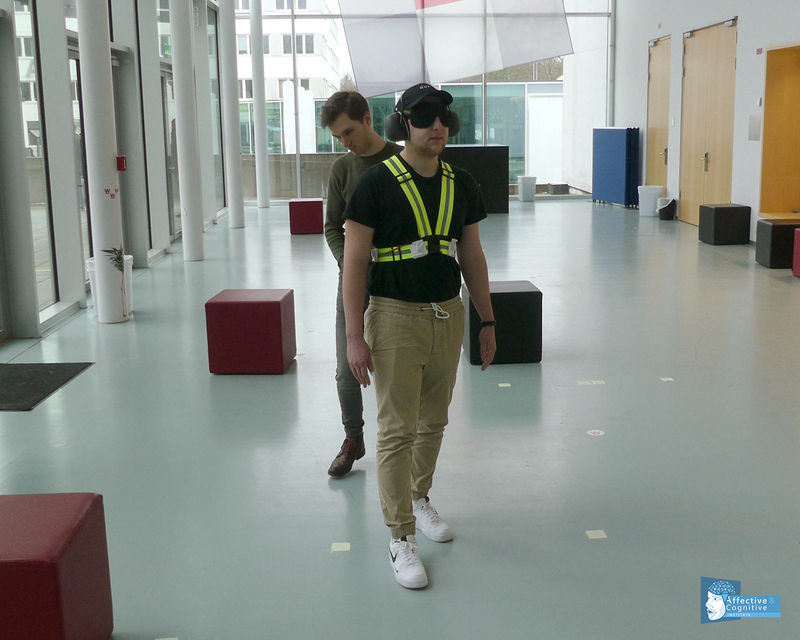 We started the new year testing our prototype for the SUITCEYES project in a field study. 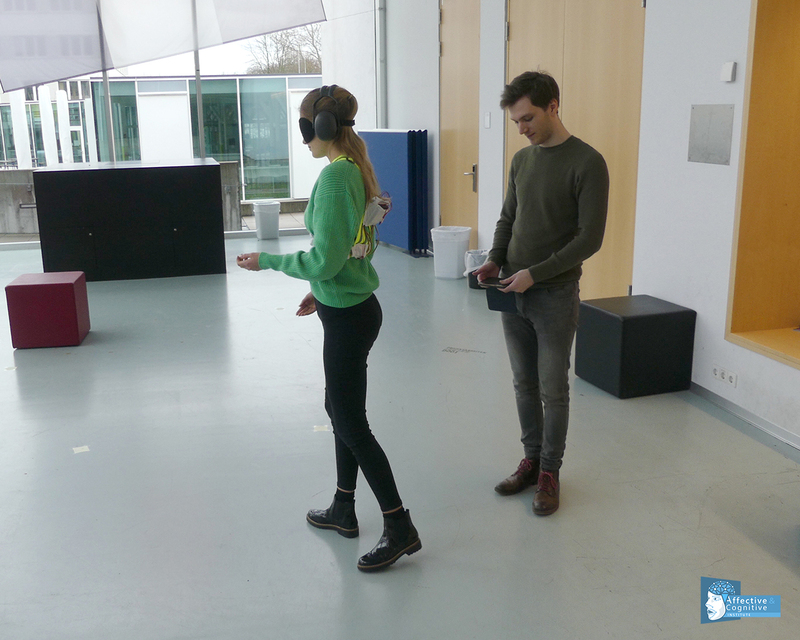 On Saturday, twelve students from Offenburg University participated in our deafblind simulation and navigated through four different routes guided only by the vibrations of the vest. Easter Egg Study on January, 2019. Test with a student. The SUITCEYES project aims to empower deafblind individuals through the use of a vibro-tactile vest, thus enriching various parts of their life. The ACI’s task is to integrate aspects of both HCI and gamification into this assistive technology. 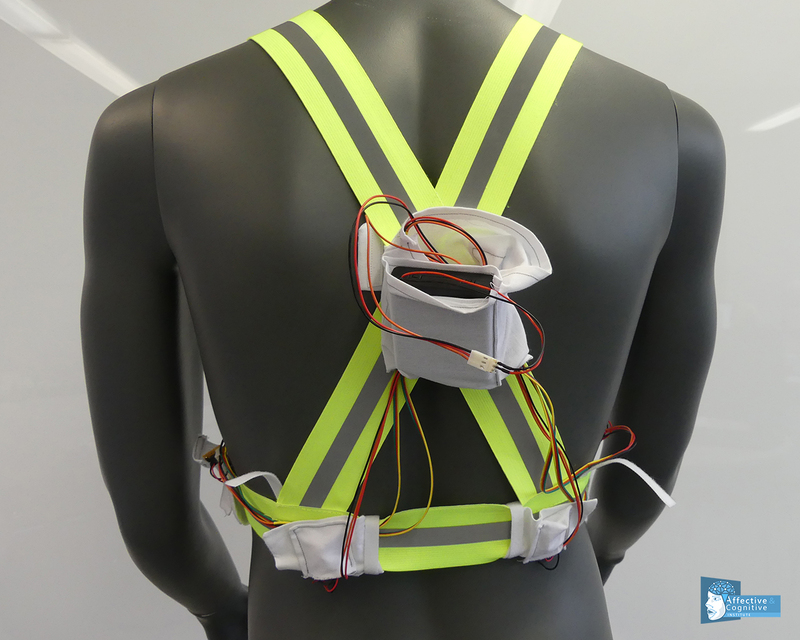 As a result, we built our first prototype of the vest and evaluated the functionality during the Easter-Egg-Hunt study last Saturday. The study required each student to navigate through four different routes with two of them including a gamified approach. Upon completion, each participant was asked to fill out a questionnaire concerning their performance and the gamified features of the vest. Deafblindness was simulated by covering their eyes and ears. Certain points on the vest vibrated serving as an indicator which direction to go. One team member of the ACI controlled these vibrations through an application on a smartphone. Needless to say, we made sure no one hurt themselves while completing the task at hand. In hindsight, the study not only proved to be an important step in our development but was also a very exciting experience for all involved. The students really enjoyed taking part in the study and testing out the prototype vest. Another study including the rest of the participants will follow soon. Easter Egg Study on January, 2019. Details of the used Prototype.